Federal Nationals Member for Lyne Dr David Gillespie says a $10 million advertising blitz to boost bowel cancer screening will help save lives. Dr Gillespie said Cancer Council Australia will use TV, radio, social media and outdoor advertising throughout 2019 to help people better understand the benefits of bowel cancer screening and encourage more people to participate in the free and life-saving National Bowel Cancer Screening Program. Bowel cancer is the second most common cause of cancer-related death in Australia with 17,000 people diagnosed each year. From age 50, the risk of bowel cancer increases, with one in 11 men, and one in 15 women, developing bowel cancer before the age of 85. Symptoms can often be silent, so screening is absolutely critical for early detection. Testing can even find the early warning signs even before bowel cancer develops. 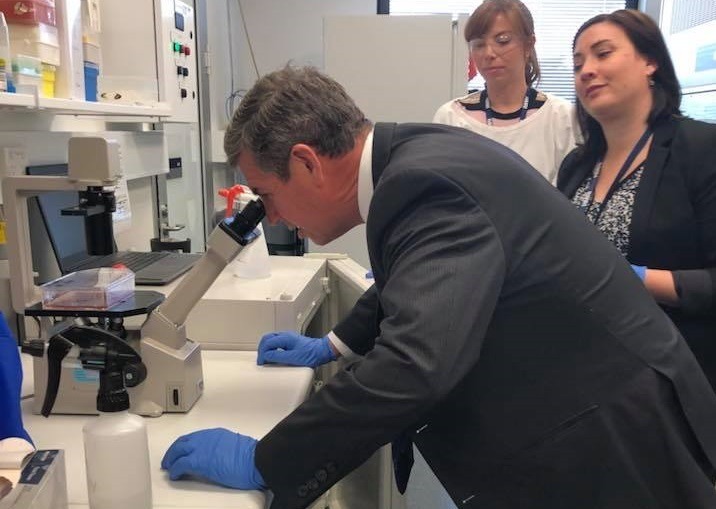 Dr Gillespie said research has revealed that 90 percent of bowel cancers can be successfully treated through early detection, reducing the number of family, friends, and loved ones who die each year from the disease. “The free home test kit contains a full instruction booklet, a zip-lock bag, two flushable collection sheets, two sampling sticks and sterile collection tubes, two identification stickers for the collection tubes, two transportation tubes, and a prepaid envelope and checklist with which to return your samples,” Dr Gillespie said. Of the 3.2 million people invited to screen between January 2015 and December 2016 – 41 per cent participated in the program. Independent modelling by Cancer Council NSW shows that 59,000 lives will be saved between 2015 and 2040 at current rates of participation. Increasing participation rates to 60 per cent could save more than 83,000 lives by 2040. “I encourage people aged 50 to 74 years in our local area to take the test to live a longer, healthier life and give peace of mind to their family and loved ones,” Dr Gillespie said. For more information about the screening program click here.